Rated 1 out of 5 by adawg99 from OLD medium/deep back! I liked your old medium/deep bb cream that had a screw on top, not one that the top is connected. The old one was much thinner liquid and looked way less oily.. this one is too thick and makes your skin look wet! Rated 2 out of 5 by Elia from Bring it back Please match the color to the old BB Cream Medium Deep, as this one is lighted or bring back the old one. It was perfect for a lot of us as you can tell by the comments Thank you! Rated 4 out of 5 by Lekins from Pretty good I'm super lazy and would probably not wear makeup if it wasn't for this product. I have skin that gets pretty shiny, especially on my t-zone, and this product does a great job of mattifying it for an hour or two. But after 3 or 4 the shine comes through and the tint kind of accentuates it, but I don't think it makes it worse than usual - just more obvious. I tried with using a setting powder over the top today, which made it last longer. The shine still came through by the end of the day, but less so. So perhaps it's not great for oily skin, unless you're willing to touch it up with some sort of powder once a day. I think that's just a common dilemma for people with combo or oily skin but only want light coverage. I long for that matte look but I'd have to fight my skin's natural state. Rated 5 out of 5 by Disappointed user from Bring back Medium/Deep!!!! I used this product for years. I loved it and you made it affordable. Please bring it back! Rated 5 out of 5 by gfree from Where is Medium to Deep? 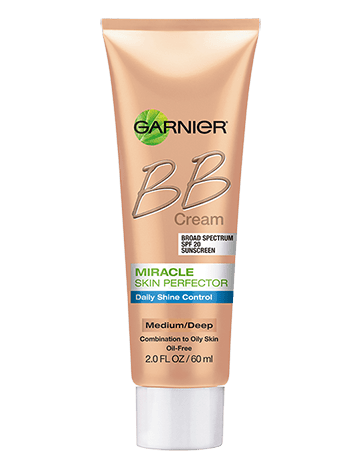 Garnier makes a FABULOUS product, their BB cream rivals luxury brands however...I'm referring to the medium to deep color! I am Caucasian with skin that is a pretty average tone and this is a great color for me. I have looked everywhere and can only find the "light" product. That tone is much to light for 90% of the general population! I feel sorry for anyone with darker skin that can no longer find this product. Please return it to the market!! Rated 4 out of 5 by churlbu1 from Bring Back Medium Deep!!! Please bring back this shade... from what it appears, this was super popular and the shade worked for many. I have posted about it in my blog and have people asking where to buy it! Rated 2 out of 5 by Maisiesmom from Very upset that Medium Deep no longer being sold!! I have tried many BB creams now that you have discontinued the medium/deep and cannot find ANYTHING that compares. The light version is way too light for my olive skin tone...And I find the light version you have on market is awful - it doesn't blend in like the older one and makes my skin look like I'm wearing japanese kabuki make up - I have bought as much as I can on Amazon etc, but will no longer buy your brand. Very disappointing. Rated 5 out of 5 by Kerstin from BRING IT BACK! I've been using this product for many years, I loved the shade and everything else made me break out. You need to bring it back!